Beans are an inexpensive source of high-quality protein. Garbanzo beans, in particular, are full of high-quality supplements such as iron, zinc, and omega 3 and 6. Not to mention, with garbanzo beans you can make a variety of dishes from hummus to salad, and even veggie burgers. For this recipe, I decided to roast the garbanzos and pair them with avocado toast, which is a popular trend in easy meals right now. My version of a crispy garbanzo bean toast is a spin-off of this trend. The beans provide healthy fats, complex carbohydrates, and are just flat-out fun to eat. This toast can make for a great quick and easy snack or a light lunch. Share your toast if you dare, or if you’re like me, keep them all to yourself because they are just that darn yummy. I started by cooking the garbanzo beans just like any other dry bean- soaking overnight and simmering on the stove for about 45 minutes to an hour, or until tender. Cooking times will vary depending on the age of the beans. Next, I coated the beans with a mixture of warm spices like cumin and paprika along with a good drizzle of olive oil. You can season them any way you like! Other seasonings I like to use are parmesan, BBQ, siracha, or teriyaki. Then onto a sheet pan they go for a trip into the oven. Inside the oven they will start to reach that desired crispiness we all love. Straight out of the oven, the beans themselves make a great snack. You could even add them to salads as a substitute for croutons or give them to kids as a healthier alternative to chips. From there, I mixed together a creamy Greek yogurt dressing fit with both the zest and juice of a lime and a handful of cilantro. It is a simple but flavorful added dressing that is easy to whip up in just a couple of minutes. The toasts came together with a few slices of toasted bread (I like to use sourdough), mashed avocado, a drizzle of the cilantro lime dressing, and a generous sprinkle of the spiced crispy garbanzo beans. Are you hungry now? I thought so. 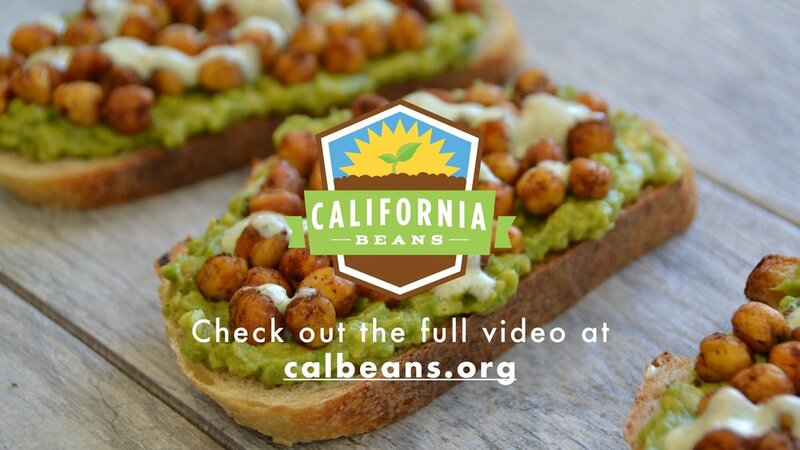 A full recipe video is available on the California Beans website. See the full recipe below. Rinse and sort garbanzo beans and place in a medium bowl. Cover completely with fresh water and let soak overnight. In the morning, discard water and place beans in a medium saucepan and cover with fresh water. Bring the pot to a boil, cover and reduce heat to a simmer, allowing to cook for 45 to 60 minutes, or until tender. Drain. In a medium bowl, coat garbanzo beans with cumin, paprika, olive oil, and salt and pepper to taste. Bake at 400°F for 20-30 minutes, or until desired crispiness. Set aside to cool slightly. 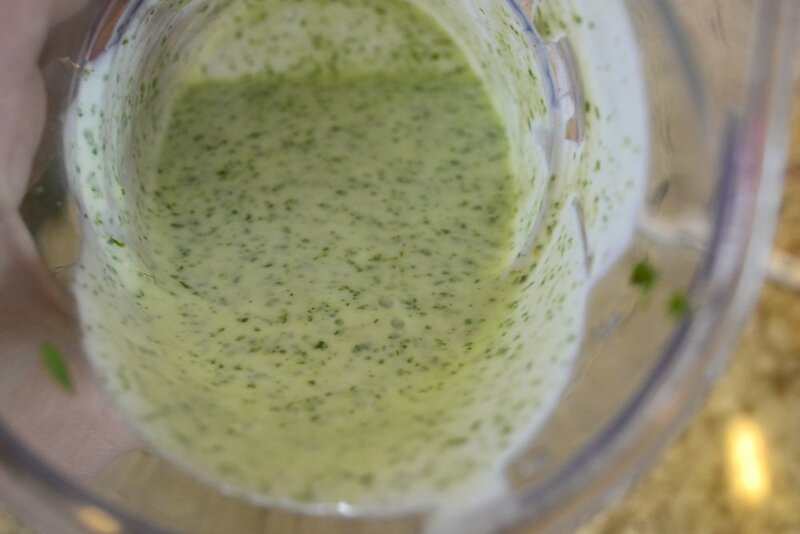 Meanwhile, combine the yogurt, lime zest, and juice, cilantro, and salt to taste using an immersion blender or food processor. If the mixture is too thick, add 1-2 tablespoons of water. In a separate bowl mash the avocados. To assemble, toast the bread and spread a layer of avocado on one side of each bread slice. Top with garbanzo beans and drizzle with cilantro lime dressing.